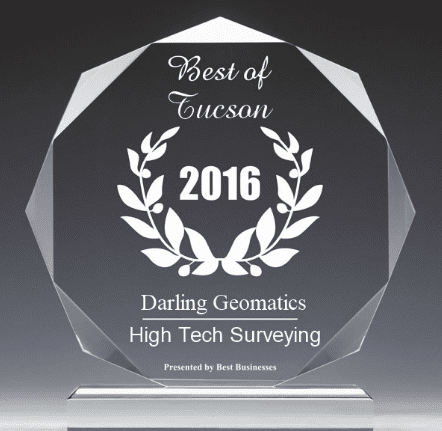 Darling Geomatics is continually pushing the limits of what's possible for 3D, surveying and environmental projects. We're proud to be recognized for our efforts to make our client's projects easier through the effective use of technology. These are just a few of the many awards Darling Geomatics has received over the years for our commitment to excellence and innovation. 2014 SBDC Success Award Winner!